Stainless steel,resin & gold dust. 5m high 6.5 wide. 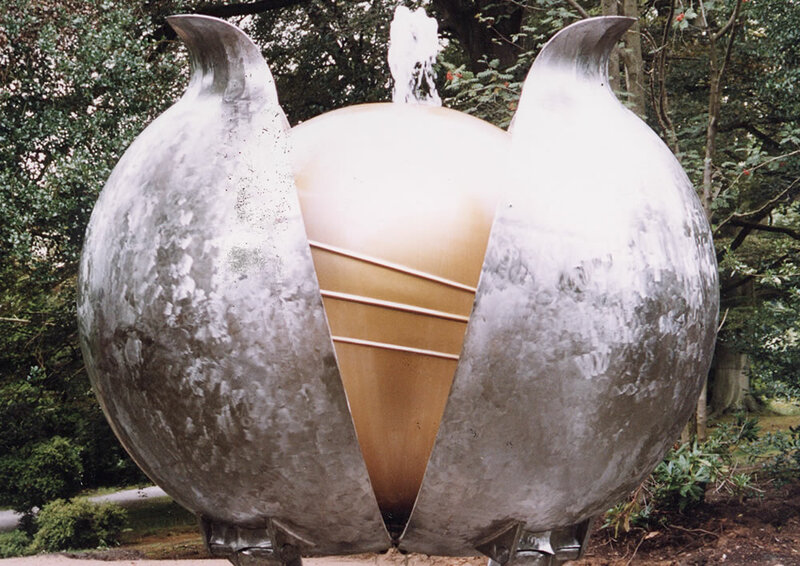 Commissioned by the 11th Duke of Devonshire for Chatsworth. 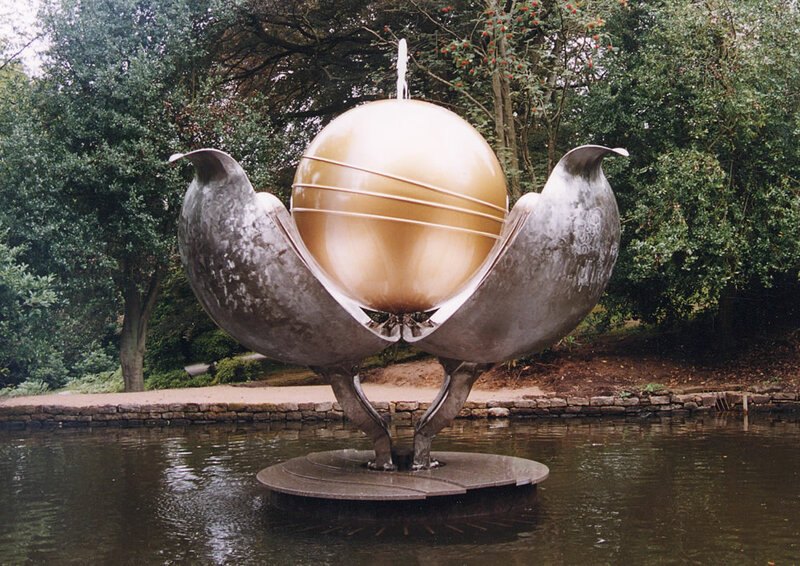 Due to the changing weight of water, the outer ‘petals’ open and close, revealing the golden globe within.